New Board Members, New Faculty Members, New Degrees, and More. Coker College added seven faculty members this academic year: Katherine Chandler, Eric Litton, Christi McLain, Lisa Stockdale, James Sweeney (‘13), Sami Varjosaari, and James D. Wacker. Chandler is visiting instructor of music. She has a bachelor’s in music from Lebanon Valley College, a master’s of music in piano pedagogy from the University of South Carolina, and is a candidate for a Ph.D. in piano pedagogy from the University of South Carolina. Chandler is a nationally certified teacher of music, a certification awarded by the Music Teachers National Association (MTNA), and is also chair of the MTNA collegiate chapters piano pedagogy symposium planning committee. Litton is assistant professor of business administration. He has a bachelor’s in mathematics and economics from Cornell University, a master’s in business administration from the University of Notre Dame, and a Ph.D. from the School of Public Policy, Government, and International Affairs at George Mason University. Litton is fluent in Spanish and Portuguese, and spent several years working abroad in places such as Pakistan, Chile, and South Africa. McLain is visiting instructor of music. She has a bachelor’s in music-voice performance from the University of Nebraska-Lincoln, a master’s in opera performance and Ph.D. in voice performance from Arizona State University. McLain has extensive performance experience including with the Hartford Symphony Orchestra, Hartford Opera Theater, and numerous music festivals around the United States and abroad. Stockdale is assistant professor of education. A National Board Certified teacher, she has a bachelor’s and master’s in early childhood education from the University of South Carolina, and a Ph.D. in elementary education from the University of South Carolina. Stockdale is a certified ESOL teacher with more than two decades of experience working with children in South Carolina’s elementary schools, and her research interests include multilingual learners and culturally responsive classrooms. Sweeney (‘13) is special lecturer in mathematics. He has a bachelor’s in mathematics and computer science from Coker College, and a Ph.D. in mathematics from the University of South Carolina. During his time as a student at Coker, Sweeney was captain of the men’s soccer team and received numerous academic achievements, including an award for outstanding achievement in mathematics as well as the 2012-2013 Murphy Osborne Scholar Athlete Award. Varjosaari is visiting assistant professor of chemistry. He has been educated at the English International College in Marbella, Spain, has a MChem from the University of Oxford in Oxfordshire, United Kingdom, and a Ph.D. in organic chemistry from the department of chemistry and biochemistry at Northern Illinois University. Varjosaari’s research focuses on novel synthetic methodology development in organic chemistry, and he presents regularly at conferences, including the American Chemical Society National Meeting and the Silicon Symposium. Wacker is assistant professor of business administration. He has a bachelor’s in physics from the State University of New York at Albany, a master’s in electrical engineering from Syracuse University, a M.B.A. from the University of South Carolina and a M.B.A. focusing on international business from Northcentral University. Wacker has considerable experience in increasing efficiency, profits, sales, and production, and has visited more than 40 countries carrying out work-related duties. Coker College elected five new members to its board of trustees––Jerry Cheatham, director of finance for global tubes and cores at Sonoco Products Company; Isaac Cody, Vice President of Corporate Financial Planning and Analysis of Walmart Stores, Inc.; Matt Ray, co-founder and chief operating officer of Integrated Rehab Consultants (IRC); James W. Roquemore, Chairman of the Board and Chief Executive Officer of Patten Seed Company, Inc., in Orangeburg, South Carolina; and Lou Warner (‘95), founder, president and owner of Warner’s Athletic Construction Company in Nashville, Tenn. The new members’ three year term began with the annual meeting of the Board of Trustees on October 25-26, 2018. Cheatham has worked in Sonoco Products Company’s finance and accounting departments for over three decades. Cheatham received his B.S. in accounting from South Carolina State University and his M.B.A. from Vanderbilt University. Cheatham, his wife Carla, and their three children reside in Hartsville. Cody will move to Tokyo next month and start a new position as Senior Vice President and Chief Financial Officer of Walmart Japan. He received his B.A. in international business from Drury University and completed a study abroad program at the Fachhochschule Nordostniedersachsen in Luneburg, Germany. Cody, his husband Jeff Shipley, and their two children, Arley and Jasper, are in the process of relocating to Japan. Since co-founding IRC in 2010, Ray’s company has grown to be the largest physical medicine and rehabilitation physician practice in the nation. Ray earned his B.A. in business administration from Drury University and his M.B.A. from the Breech School of Business at Drury University. Ray, his wife Samantha, and their son live in Chicago, Illinois. In addition to his duties with Patten Seed Company, Roquemore also serves as general manager of Super Sod-Carolina, a company that produces and markets turf grass, sod and seed. He served on the Coker College Board of Trustees from 2002-2007, was the commencement speaker at Coker’s December 2017 ceremony, and received an honorary doctor of humane letters degree. His son, Jay Roquemore, is a 2004 Coker College graduate. Roquemore and his family live in Orangeburg, South Carolina. Warner is founder, president and owner of Warner’s Athletic Construction Company, which provides a wide variety of turf maintenance and construction services in Nashville. As a member of the 1994 Baseball team at Coker College, Warner and his teammates were inducted into the Coker College Athletics Hall of Fame. A 1995 graduate of Coker College, Warner and his family live in Nashville, Tennessee. 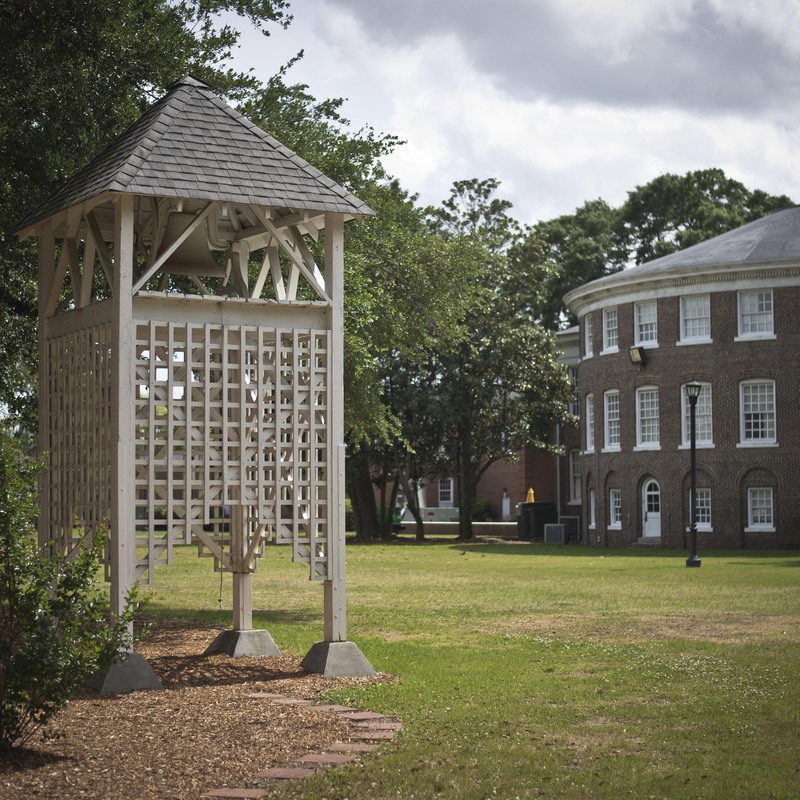 The Coker College Board of Trustees meets quarterly and maintains broad responsibility for the mission, long-range direction, policies and financial condition of the institution. This fall, Coker was granted additional funding (approximately $682,000) from the National Science Foundation’s Scholarships in Science, Technology, Engineering, and Mathematics (NSF S-STEM) program to add a second cohort to the college’s STEM Scholars in Biology (SSB) program for high-achieving students interested in pursuing careers in STEM fields and who are in need of financial assistance to attend college. Dennis Burke, special lecturer of business administration, published an article, “A Way to Predict Marketing Staff Turnover in Quick Service Restaurants,” in 2018 Proceedings, a journal published by the Southeastern Institute for Operations Research and the Management Sciences. Burke co-wrote the article with Dr. Michael Latta. Andrea Coldwell, associate professor of English, was on sabbatical last semester where she conducted manuscript research in two different archives––the Ransom Center at UT Austin and the Rare Book and Manuscript Library at Penn. Coldwell has six entries in the forthcoming Cambridge Guide to the Eighteenth-Century Novel, 1660-1820. She also presented at the Victorians' Institute Conference in November. Angela Gallo, professor of dance, was a guest instructor at the Joffrey Ballet Summer Intensive in Miami. She took students to Spain and Portugal with Kevin Kenyon, professor of history, for three weeks over the summer. Gallo also taught two master classes in October at the Charlotte Ballet High School Dance Festival. This spring, Gallo will be an artist in residence at Lake Studio in Berlin, Germany, where she will create a new multimedia solo project and conduct research. Jean Grosser, professor of art and James W. Lemke Endowed Chair in college service and leadership, has been included in a number of art exhibitions: 30th Anniversary Juried Art Exhibition, SC State Museum, Columbia SC; Riverworks Gallery, Greenville, SC; Lipscomb Gallery/S.C. Governor’s School for Arts and Humanities, Greenville, SC; South Carolina Clay, Hyman Fine Arts Center, Francis Marion University, Florence, SC; and A Culture of Violence, Curtis R. Harley Gallery/USC Upstate, Spartanburg, SC. John Hauptfleisch was promoted to Associate Professor of Chemistry. Ryan Higgins was promoted to Associate Professor of Education. John Jewell was promoted to Professor of Physical Education and Sport Studies. Julia Klimek, professor of English and Coordinator of the Interdisciplinary Studies program, and Alyssa Reiser Prince, assistant professor of art, presented at the annual conference of the Association for Interdisciplinary Studies in Detroit on October 12 regarding their student study away trip last spring to Bear Island, N.C. On October 25, Klimek presented on the organization and components of the Interdisciplinary Studies program at the Yes We Must Coalition meeting in Austin, TX. Ye Li, associate professor of Chinese, had two essays selected for the book “Fifty Reflections on New York: A Collection of Chinese Essays,” published by I Wing Press Inc., May 2018, First Edition: “Still Remember the Spring Snow in New York” and “The Outdoor Concert in the Forest Park." Li’s 24,000-word essay, “Life is a Journey,” was published in the October issue of “Writers Magazine,” a nationally acclaimed Chinese literary journal. David McCracken, professor of English, recently signed a book contract with McFarland Publishing for The Subversive Power of the Comic Grotesque in the Work of Chuck Palahniuk. McCracken’s recently published works include “Missing the 'Moment of Grace’ in James Baldwin’s 'Going to Meet the Man’” in The Explicator, "Nick Carraway's Ideological Self-Deception in The Great Gatsby" in the October issue of Studies in American Culture, and "'Just hear that potty mouth! ': An Argument for Sarah Ruden's Translation of Lysistrata" in the August issue of Neohelicon. McCracken’s recent presentations include "Is This Academic Dishonesty or Academic Publication?" at the Claflin University Conference on Contemporary English and Language Arts Pedagogy in Secondary and Postsecondary Institutions and "Course Hero, Intellectual Property, and Public Space" at the University of North Carolina at Charlotte Conference on Writing Studies. Suzanne Parker was promoted to Professor of Physical Education and Sport Studies. Alyssa Reiser Prince, assistant professor of art, has participated in a number of exhibitions, including a juried exhibition at the Greenwood Festival of Flowers, in Greenwood, SC, a juried exhibition at the South Carolina State Museum in Columbia, SC, and a juried/invitational exhibition at Concordia College in Moorhead, MN. Reiser Prince will present in April at the 2019 Foundations in Art: Theory and Education Conference at the Columbus College of Art and Design.Andrew Schwartz, assistant professor of theatre, recently directed the U.S. college premiere of the play Shakespeare in Love in Columbia, S.C.
Jasna Shannon, professor of English, presented a paper, “Laboring through Academic Writing: How Commonplace Books Can Help,” in March at the Conference on College Composition and Communication in Kansas City, MO. Meredith Sims, assistant professor of dance, received the Ray Doughty Arts Integration Award at the Palmetto State Arts Education Annual Arts Integration Conference October 16 in Charleston. The award recognizes an individual that embodies the true spirit of arts integration through the successful utilization of community partnerships and resources to create a greater awareness and encourage the growth of arts integration programs in South Carolina. Sims presented "My Folks’ Dance: Creating Personal Folk Dances with College Students" at the National Dance Education Organization Conference in San Diego, California, October 4-8. Graham Wood, professor of music, performed on French horn in May in the orchestra accompanying the Florence Masterworks performance of Faure's Requiem and Dvorak's Te Deum at the Performing Arts Center in Florence. In September, Wood produced Standard Practice XIII a musical theatre showcase featuring 10 students and 14 musical numbers. Coker recently added a new degree option, a bachelor of fine arts (B.F.A.) in studio art. This new, more intensive degree joins Coker’s existing offerings, which include a bachelor of arts (B.A.) degree in art with concentrations in art education, fine arts, graphic design, and photography. Coker’s B.F.A. in studio art will prepare students for a professional, studio-based career in a variety of media, such as painting, sculpture, graphic design, web design, photography, and mixed media. The most significant difference between a B.A. degree in art and a B.F.A. in studio art is in the nature of the curriculum, with B.A. students focusing more in the liberal arts with general studies courses such as English, history, math and science. Viewed as a professional degree, a B.F.A. in studio art will focus on a more specific and intensive art-focused curriculum. Coker’s M.Ed. in Literacy Studies is now an entirely online degree program. Now all of the college’s graduate programs are entirely online degree programs.